Machine learning is to learn from data repetitively and to find the pattern hidden there. By applying the results of learning to new data, in other word Machine learning allows computers to analyze past data and predict future data. Machine learning is widely used in familiar places such as product recommendation system and face detection of photos. Also, as cloud machine learning services such as Microsoft's "Azure Machine Learning", Amazon's "Amazon Machine Learning", and Google's "Cloud Machine Learning" are released. a single book wont help you fully master machine learning , simple cause It’s a complicated many topics, purposes and benefits in real-world applications. so in this article i will highlight the best machine learning books that you can start with and dive deeper into machine learning ! Good content explained in very simple language. and very recent subjects such as genetic algorithms, re-enforcement learning and inductive logic programming. 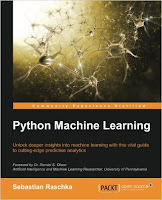 This is a great book to get you up and running with machine learning. It manages to not only cover the basics but also talks about some of the more advanced topics. 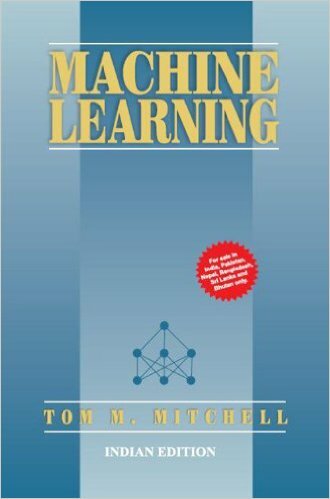 If you want to get a good understanding of machine learning then this is the book for you. There are a couple of things that I really liked about this book. You learn a lot of things that you can't find online and that are APPLICABLE to the real world. Even if you just want to get into machine learning and use it but don't necessarily want to become a data scientist this is a great book. Although this book is focusing on python the math that you need to implement the algorithms are all there. What's great about that is that I was able to "Translate" most of the examples from the book to C++ code without much hustle. Not only that but the math behind these algorithms made a lot more sense after reading this book. 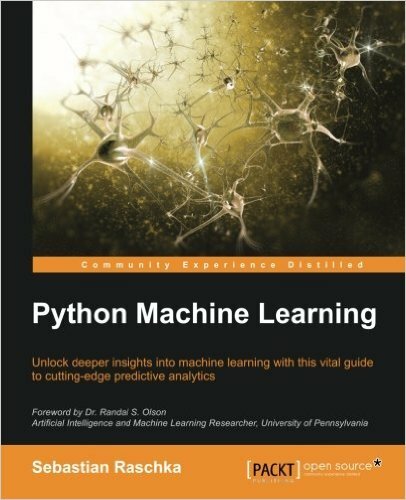 So even if you don't necessarily want to use python but want to gain intuition over how these algorithms work this book will also come in handy. 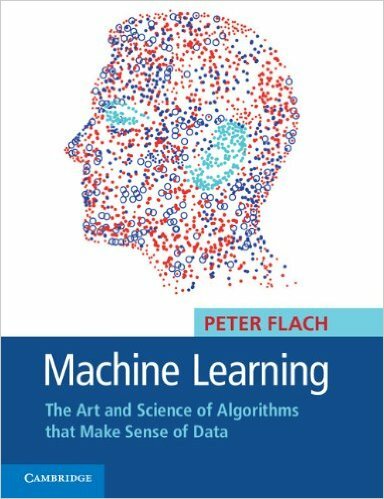 This book isn't just about Machine Learning algorithms. It actually talks quite a bit about preparing and getting good data in general. Which is crucial for every data scientist since almost 80% of your job is getting good data. And another 20% finding a good model and training it. During the past decade there has been an explosion in computation and information technology. With it have come vast amounts of data in a variety of fields such as medicine, biology, finance, and marketing. The challenge of understanding these data has led to the development of new tools in the field of statistics, and spawned new areas such as data mining, machine learning, and bioinformatics. Many of these tools have common underpinnings but are often expressed with different terminology. This book describes the important ideas in these areas in a common conceptual framework. This review is written from the perspective of a programmer who has sometimes had the chance to choose, hire, and work with algorithms and the mathematician/statisticians that love them in order to get things done for startup companies. I don't know if this review will be as helpful to professional mathematicians, statisticians, or computer scientists. The good news is, this is pretty much the most important book you are going to read in the space. It will tie everything together for you in a way that I haven't seen any other book attempt. The bad news is you're going to have to work for it. If you just need to use a tool for a single task this book won't be worth it; think of it as a way to train yourself in the fundamentals of the space, but don't expect a recipe book. Get something in the "using R" series for that. When it came out in 2001 my sense of machine learning was of a jumbled set of recipes that tended to work in some cases. 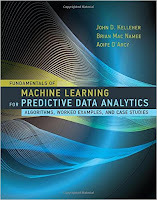 This book showed me how the statistical concepts of bias, variance, smoothing and complexity cut across both fields of traditional statistics and inference and the machine learning algorithms made possible by cheaper cpus. Chapters 2-5 are worth the price of the book by themselves for their overview of learning, linear methods, and how those methods can be adopted for non-linear basis functions. your linear algebra is and then come back when you're ready. Second, you really really want to use the SQRRR technique with this book. Having that glimpse of where you are going really helps guide you're understanding when you dig in for real. abstract relationships to forget. It would probably be worth the extra time, and I wish I had known to do that then. 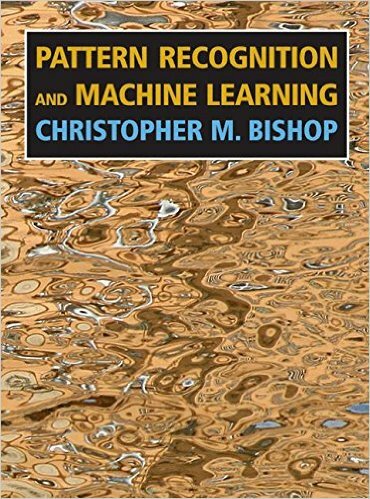 This graduate-level book is a very good reference for classic pattern recognition and machine learning methods. It might not be the best book for a first-time learner though since the author tends to jump-step a lot. This is understandable considering the amount of content and insightful discussions covered. For advanced learners, this book is one of the best. 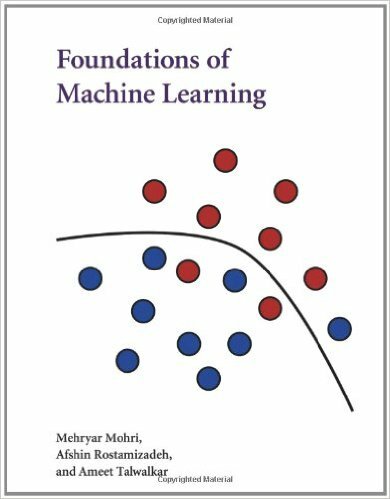 As one of the most comprehensive machine learning books around, this book does justice to the field's incredible richness, but without losing sight of the unifying principles. 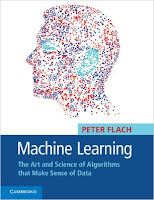 Peter Flach's clear, example-based approach begins by discussing how a spam filter works, which gives an immediate introduction to machine learning in action, with a minimum of technical fuss. Flach provides case studies of increasing complexity and variety with well-chosen examples and illustrations throughout. He covers a wide range of logical, geometric and statistical models and state-of-the-art topics such as matrix factorisation and ROC analysis. Particular attention is paid to the central role played by features. The use of established terminology is balanced with the introduction of new and useful concepts, and summaries of relevant background material are provided with pointers for revision if necessary. These features ensure Machine Learning will set a new standard as an introductory textbook. C. Fashionists - "Show" - in this category, some of the even basic reporting/analytics are not termed "Machine Learning", need enough buzzwords pieced together to repaint the old apps. Flach's book is a great source for those who are 75%-25% between first two, and perhaps even greater especially if your Linear Algebra (basics) is not too rusty. It gives a wide and somewhat deep tour of the landscape broken into four paradigms (Quantitative/Analytical, Logical, Geometric, Probabilitisic) and does a real good job on feature design. 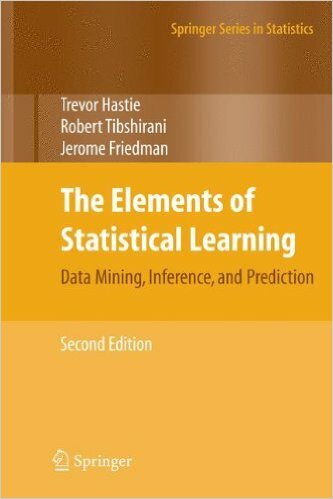 The book is interspersed with some key insights that are not to be found elsewhere (e.g., how the 'pseudo-inverse' in OLS is really decorrelate-scale-normalize the distribution; Skew-Kurtosis are the statistical measure of "shape"; Naive Bayes is not only Naive but also not particularly Bayesian; How Laplacian Estimate generalizes into Pseudo-Counts and then to m-estimate etc.). Today's Web-enabled deluge of electronic data calls for automated methods of data analysis. Machine learning provides these, developing methods that can automatically detect patterns in data and then use the uncovered patterns to predict future data. 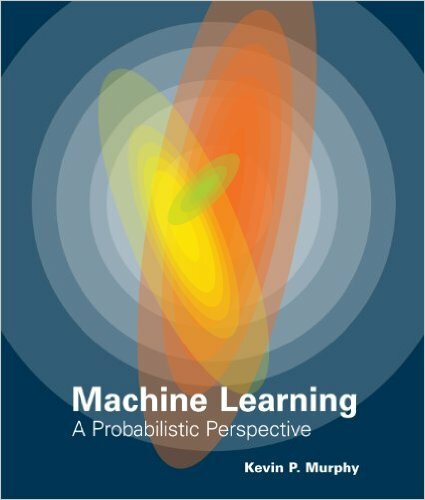 This textbook offers a comprehensive and self-contained introduction to the field of machine learning, based on a unified, probabilistic approach. The coverage combines breadth and depth, offering necessary background material on such topics as probability, optimization, and linear algebra as well as discussion of recent developments in the field, including conditional random fields, L1 regularization, and deep learning. The book is written in an informal, accessible style, complete with pseudo-code for the most important algorithms. All topics are copiously illustrated with color images and worked examples drawn from such application domains as biology, text processing, computer vision, and robotics. Rather than providing a cookbook of different heuristic methods, the book stresses a principled model-based approach, often using the language of graphical models to specify models in a concise and intuitive way. Almost all the models described have been implemented in a MATLAB software package -- PMTK (probabilistic modeling toolkit) -- that is freely available online. The book is suitable for upper-level undergraduates with an introductory-level college math background and beginning graduate students. An astonishing machine learning book: intuitive, full of examples, fun to read but still comprehensive, strong and deep! A great starting point for any university student -- and a must have for anybody in the field. A solid, comprehensive, and self-contained book providing a uniform treatment of a very broad collection of machine learning algorithms and problems. 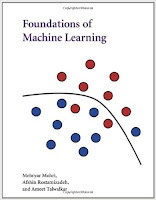 Foundations of Machine Learning is an essential reference book for corporate and academic researchers, engineers, and students. Finally, a book that is both broad enough to cover many algorithmic topics of machine learning and mathematically deep enough to introduce the required theory for a graduate level course. 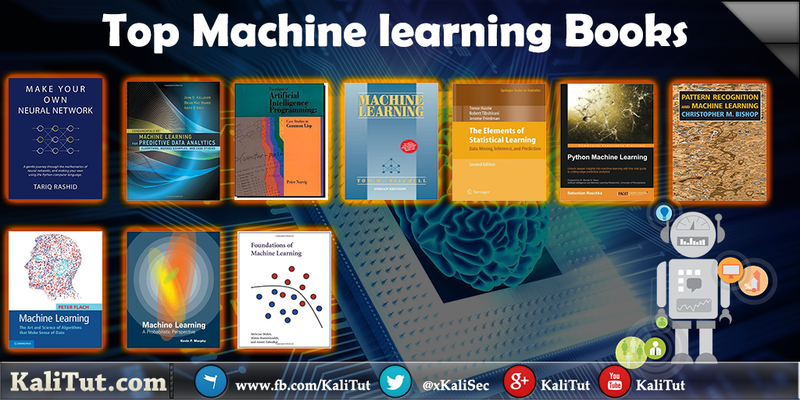 Foundations of Machine Learning is a great achievement and a significant contribution to the machine learning community. In my opinion, the content of the book is outstanding in terms of clarity of discourse and the variety of well-selected examples and exercises. The enlightening comments provided by the author at the end of each chapter and the suggestions for further reading are also important features of the book. The concepts and methods are presented in a very clear and accessible way and the illustrative examples contribute substantially to facilitating the understanding of the overall work. 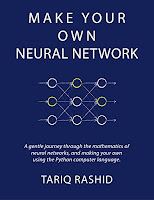 This is a very nice introduction into Neural Networks. I have been recommending this to my friends and family. Even if you are afraid of the mathematics involved, the appendix in the book covers what you need to know in order to make sense of the math (most of it is simple algebra) with just a bit of derivatives that involve the chain rule. 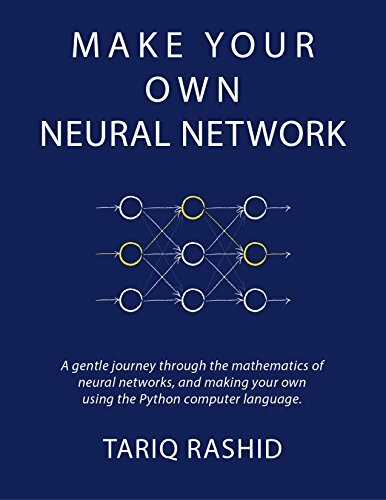 This is one of the few books that not only goes over the theory but also the step by step implementation (training your network to recognize handwritten numbers in Python) as well as testing the code and making minor tweaks to show how that will affect the overall accuracy of the network. For an added bonus, the author includes a chapter describing how you can train the network to recognize your own handwriting and things you can do to further increase the accuracy. This is one of the best introductory review to Artificial Intelligence on the market. It's very well written and organized. 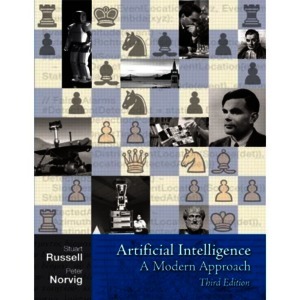 There are other books that are better for focusing on one particular aspect of AI, but as a general book this is the best I've seen. If you are looking for a really good introductory textbook to AI that does not completely dumb things down, buy this book. This is a excellent book for both the history of AI and a lot of program written very well in Common Lisp. Peter Norvig is actually very enthusastic about AI and programming. 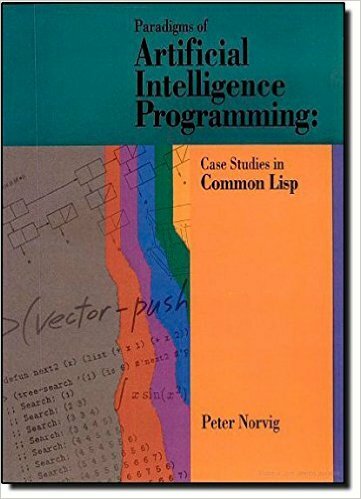 From a glimpse of the book, it'ss valuable for learner both of AI and Common Lisp.